Use cash on hand (including proceeds of the New EETC) to indefeasibly repay the existing prepetition obligations secured by the Aircraft, as applicable, which are currently financed through, as the case may be, an EETC financing entered into by American in July 2009 (the "Series 2009-1 Pass Through Certificates" (CUSIP: 023763AA3)), a secured notes financing entered into by American in July 2009 (the "13.0% 2009-2 Senior Secured Notes" (CUSIP: 023771R75)) and an EETC financing entered into by American in October 2011 (the "Series 2011-2 Pass Through Certificates" (CUSIP: 02377VAA0)), in each case without the payment of any make-whole amount or other premium or prepayment penalty. Subject to, among other things, the entry of such an order by the Bankruptcy Court, American expects the New EETC structure to be substantially similar to the structure of the Series 2011-2 Pass Through Certificates, other than the economic terms (such as the interest rate) and certain terms and conditions to be in effect during its current Chapter 11 bankruptcy case. The securities expected to be issued in connection with the New EETC will be offered only to qualified institutional buyers pursuant to Rule 144A under the Securities Act of 1933, as amended (the "Securities Act"). Such securities will not, at the time of such offering, be registered under the Securities Act or applicable state securities laws and may not be offered or sold in the United States absent registration or an applicable exemption from the registration requirements of the Securities Act and applicable state securities laws. On November 29, 2011, AMR Corporation filed for Chapter 11 bankruptcy protection. Chairman and CEO Gerard Arpey stepped down and were replaced by company president Thomas W. Horton. American Airlines has two affiliates: American Eagle, which is a 100% regional subsidiary, and AmericanConnection, which is the code-share regional brand. 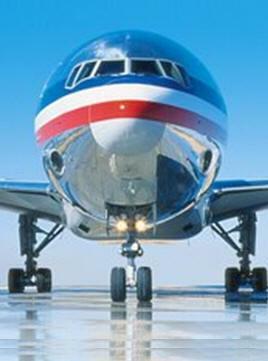 As of summer 2012, American's unions are looking to merge with another airline. Reports are the possible merger partners AMR is looking at are, US Airways, JetBlue, Alaska Airlines, Frontier and Virgin America. Indeed, in a July 12 court filing US Airways said it supported an American Airlines request to extend a period during which only American could file a bankruptcy reorganization plan ("exclusivity period"); in the filing US Airways disclosed that it was an American Airlines creditor and "prospective merger partner. On August 31, 2012, US Airways CEO Doug Parker announced that American Airlines and US Airways had signed a nondisclosure agreement, in which the airlines would discuss their financials and a possible merger." On September 18, 2012, the airline announced it has notified more than 11,000 workers of possible job loss as part of its bankruptcy reorganization. They also said it is cutting flights by one to two percent for the rest of September and October 2012.